Classic Industries offers a wide selection of Tools for your Chevrolet Chevy II Nova. Classic Industries offers Brake Tools. The standard tool will remove springs that are set over a post. Speed up star wheel adjusting on drum brakes by simply inserting the tool through the slot in drum backing plate. A different angle at each end adapts to many various models. This unique tool makes changing disc brake pads easy. 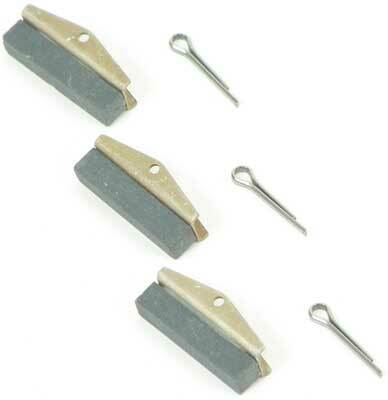 The tool compresses the disc brake piston for easy installation of pads. This wrench will ensure that you don?t strip the bleeder nuts on your calipers or cylinders. Replacement stones for Y10400 hone. If your brake lines or fuel lines need to be flared, this is the right tool for you. This set allows the user to make single or double SAE flares to exact dimensions. Nine sizes for brake caliper bolt applications. No more searching for the correct bit! This handy set will cover a multitude of applications. Set includes torx and hex head bits. The pistol grip ratcheting action and the fast acting plunger compress disc brake pistons in seconds. This makes brake pad replacement a snap. Replacement caliper stones for X265 hone. Set of 3. Removes and installs return springs on Bendix drum brakes. Place socket end over spring anchor and twist to remove. Hook notched end through spring and over the post, lift to install. Removes and installs shoe return springs on most drum brakes. Socket end removes spring from anchor stud. Notched end installs spring on anchor. Pliers remove and install the return spring to outside of brake shoe. This heavy duty brake spring tool will remove springs installed through a hole.